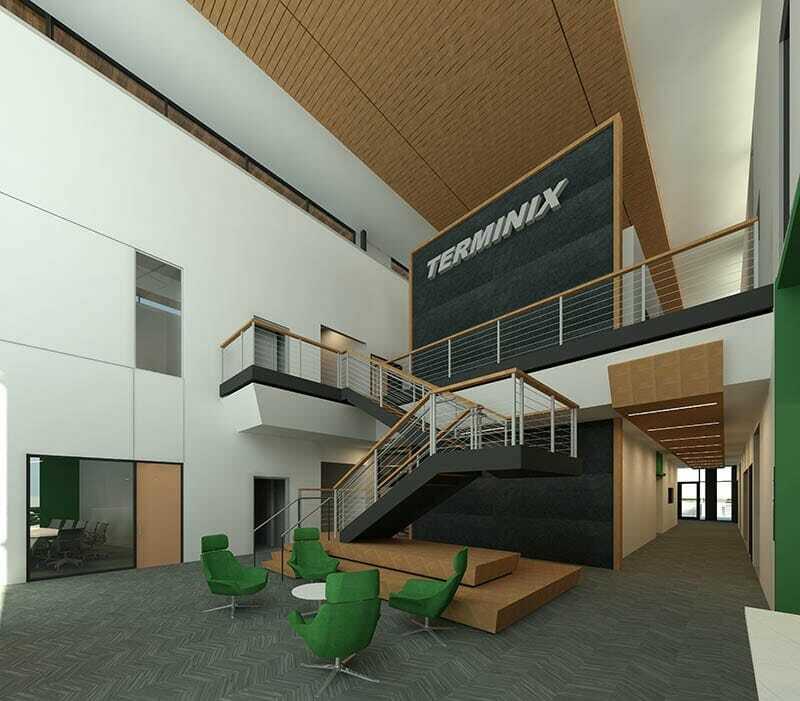 This new office building and warehouse facility consolidates the myriad buildings out of which Terminix currently operates into one central corporate hub. 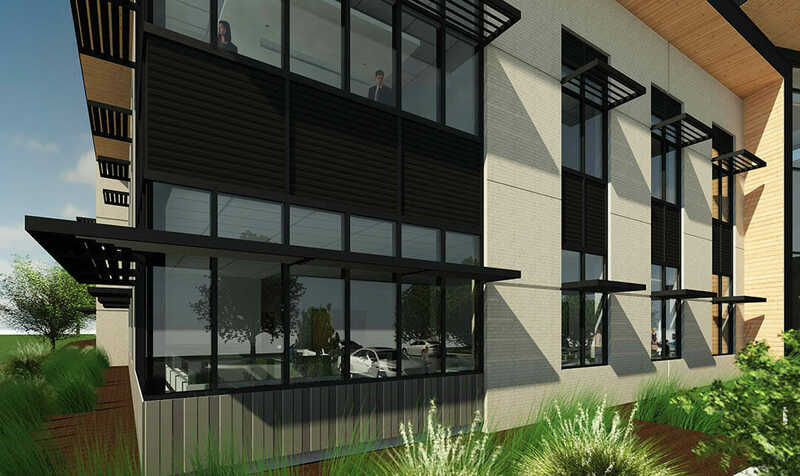 Located on Fernandina Road, adjacent to I-26, this two-story building takes advantage of this highly visible location, creating an instantly recognizable street facade. 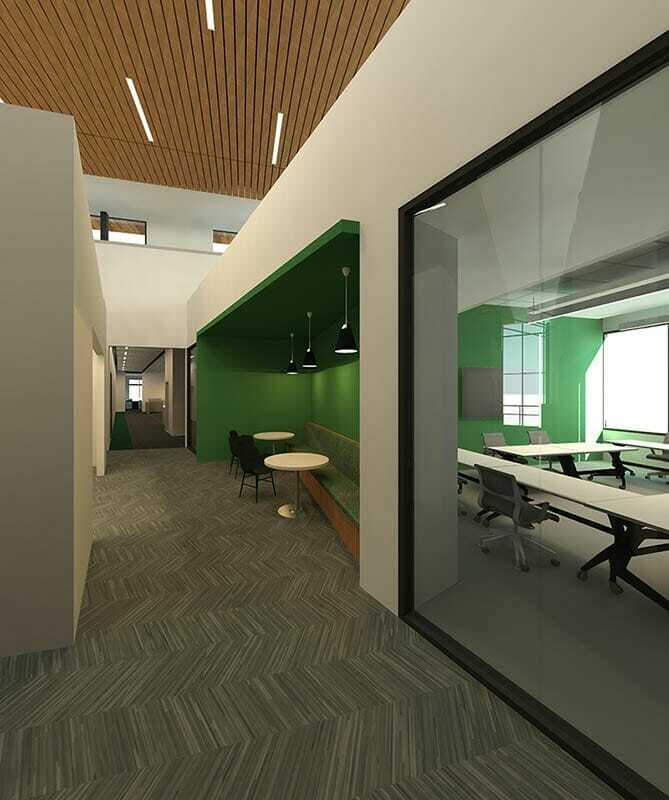 A grand clerestory projects up from the angles swath of circulation space that connects the public east building entrance with the more private, employee-related, west entrance. A dividable training room with dining area occupies a large portion of the first floor program, with private offices and open office workstations taking up the remainder. Other notable program elements include a large mail room, exercise room, multiple conference rooms and several break rooms. Expansion capability in the office building has been accounted for with nearly 5,000 square feet of shell space. Attached to the office building is a 4,700 square-foot high-bay warehouse with an additional 1,200 square feet in mezzanine area.